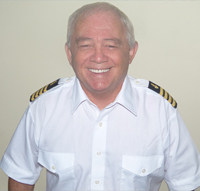 Now with almost 25 years of arranging wonderful Caribbean Catamaran vacations, Andrew Buys and the Barrington-Hall yacht charter service has become an industry leader. You might work all year for one or two really nice vacations. Arrange one luxury Caribbean catamaran sailing vacation with Andrew Buys and Barrington-Hall Yacht Charters and you'll want to charter a catamaran again and again. 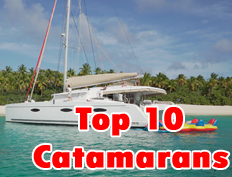 Choose from our TOP 10 Caribbean Catamaran Vacations and we guarantee you will want to book your next trip with us as soon as you return home and likely before you even unpack your luggage. We believe no other yacht charter company will offer you the attention to details, protection or the planning to landing service. 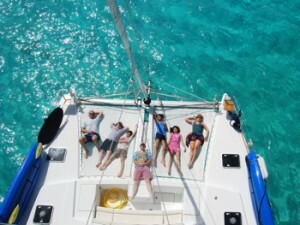 Please read our feedback and find out why so many first timers re-book their catamaran sailing vacations with Andrew. No One Knows Caribbean Catamaran Vacations Better Than Us. The Caribbean Catamaran is quickly becoming the Cruise Alternative that is perfect for couples, families and corporate events and incentives. Kindly Note: We may not recommend all the catamarans that will be seen in this database search. Please contact us for further information on the catamaran, crew and customer reviews. When planning your Caribbean catamaran vacation we will work closely with the captain to include sailing, shopping, diving, beach combing or just hanging out on the boats trampoline or walking the pristine beaches of some island deep in the Caribbean. Choose your destination and we'll map it out with the captain so your Caribbean Catamaran Vacation is all that it can be. Here's few places you might enjoy visiting while on your catamaran sailing vacations. Tortola's West End Wow just perfect for the ladies shopping. Peter Island BVI On the beach chalets, a wonderful on the beach special restaurant set under the coconut palms on the white beach. Marina Cay Try not to miss Marina Cay at all costs this is a must do anchorage. Spanish Town is the value for the passionate vacationer. and so many more to map out and discover for your self. Contact us today and after discussing your vacation goals and ideas, we will help you find the perfect captain and crew for a wonderful Caribbean Catamaran Vacation. Call 800-478-2029 for immediate and personalized service. Almost 15 years experience matching guests to their Dreams. Like fine wine with a great dinner.. 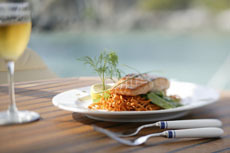 The right Catamaran, crew and itinerary, matched with your dream of a vacation is what I do best. Please read my personal notes for more details. Any Travel Agent can send you flashy brochures, the FACT IS; A Caribbean Catamaran Vacation is very personal and tailored to your desires. A Boat is a boat but magic seems to happen when I'm successful in matching the "RIGHT" crew with my guests thoughts and personality. No catalogue or internet site can duplicate this ability, nor should it be over looked when arranging your magical Caribbean Catamaran Vacation.